California Representative and Putin-pal Dana Rohrabacher is up for re-election, so as I have with so many others, I decided to look into his roots because, well, that’s what genealogists do. But this time I came to a screeching halt with the subject himself. Not because I couldn’t get traction on his family tree. It’s easy enough to research, but he’s such a curious individual himself that wandering back in time in his case seems superfluous. What follows is a sampling of the tidbits I tripped across during a cursory search. 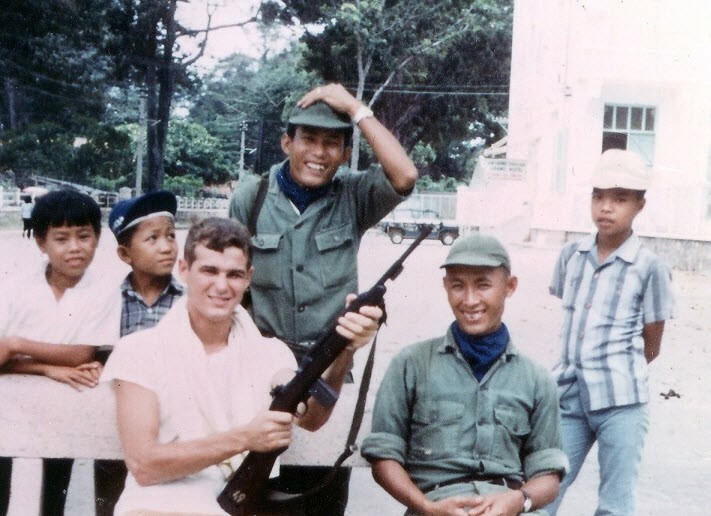 This photo on his congressional website leaves the casual browser with the impression that he served in Vietnam, but the reality is that he received a deferment. His father was an officer in the Marine Corps, so this picture was likely taken while he was visiting his dad. He was once savvy enough to grasp that Russia is not our friend. 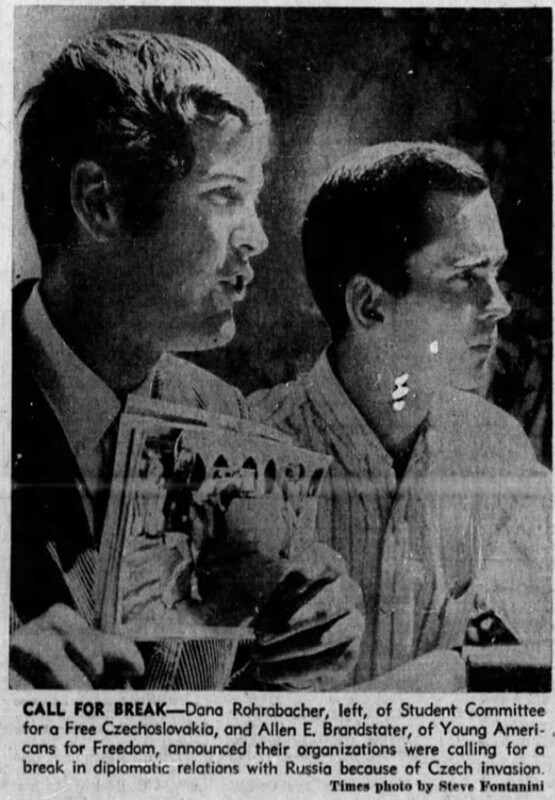 In the summer of 1968, while some were serving in Vietnam and others were protesting the war, he was protesting, too — the Russian invasion of Czechoslovakia. Having visited Czechoslovakia recently, he called for the U.S. to break diplomatic relations with Russia. 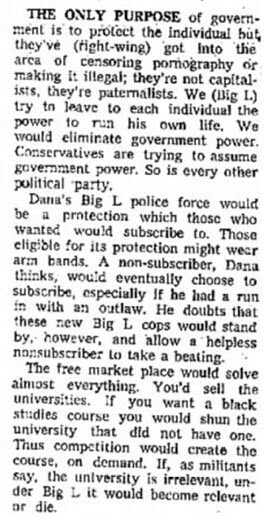 He predicted a Libertarian future in which universities would be put up for sale and people would subscribe for protection from a police force and wear an armband to show their eligibility. His then-fiancée, now wife, was something of a pioneer of the Republican tactic of placing “decoy Democrats” on the ballot to siphon off votes from a genuine Democrat (one of the most recent examples being Scott Taylor’s campaign in Virginia). In 1997, she pleaded guilty to two felony charges, and got off lightly when the charges were reduced to misdemeanors, resulting in a sentence of three years of probation, 300 hours of community service, and a fine of $2,800. He was once a singer-songwriter whose lyrics were anti-government, anti-gay, anti-military, anti-just-about-everything — except drugs. He was OK with drugs (that is, until he wasn’t). 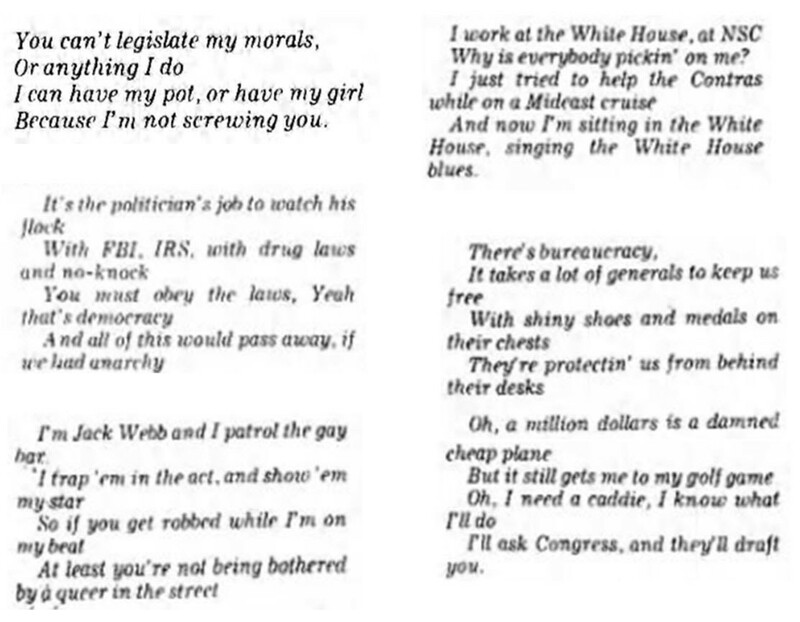 Excerpts shared here are from an interview by Los Angeles Times journalist Robert W. Stewart who listened to a 1980 tape of “greatest hits.” Queried about this in 1992, Rohrabacher offered no apologies, saying that these were written when he was young and wild and that he had since matured. Not surprisingly, the movie hasn’t been produced, but given that he described it as “the Dr. Zhivago of the 1990s,” maybe he can get Putin and a few of his oligarch friends to kick in to bring his vision to life.